A simple idea for a birthday shooting. 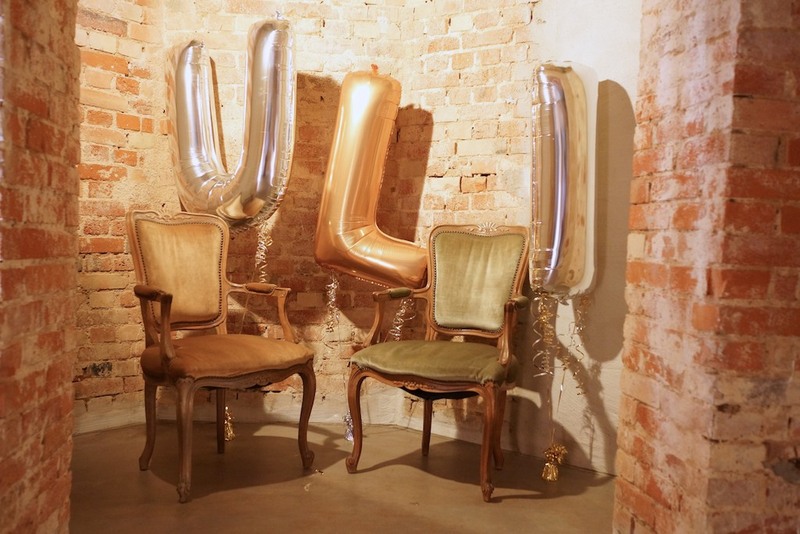 Three Jeff Koons style balloons for ‚ULI‘, two chairs a tripod … done! I did this for a birthday shooting end of November with friends and family. I love the results. This was done at restaurant ’87‘, which was – for me as a local – surprisingly featured in Monocle’s ‚German Issue‘ (#61) at the beginning of this year. I liked the brownstone background and the old arm chairs. I did not do any post production yet. Lighting was poor, but even for that I got some really satisfying results. Vorheriger Beitrag ProjectsVimeo Beauty	Gran Turismo! In your face!